A four-year-old boy shot and killed his father because he did not buy him a PlayStation, Arabic–language media reported Monday. A four-year-old boy shot and killed his father after he did not buy him a PlayStation, Arabic language media reported Monday. 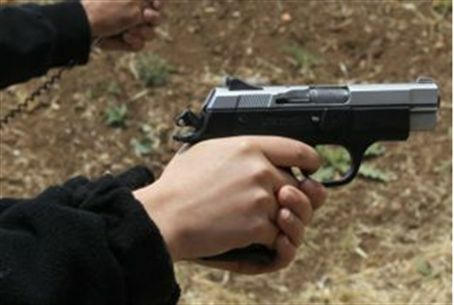 “The boy pulled the trigger and a bullet hit his father in the head, killing him instantly,” the Sabq newspaper said in a report quoted by the Emirates247.com website. Another paper, Sharq, said the boy is considered to be the “youngest killer” in Saudi Arabia. He is four years and seven months old. The child had asked his father to buy him a PlayStation. The father returned home empty-handed and then put down his pistol while taking off his shirt. The little boy grabbed the gun, played with it and put his little finger in the trigger, accidentally shooting his father in the head.